Chicken plus mac and cheese -- together in one dish -- with absolutely ZERO prep work! 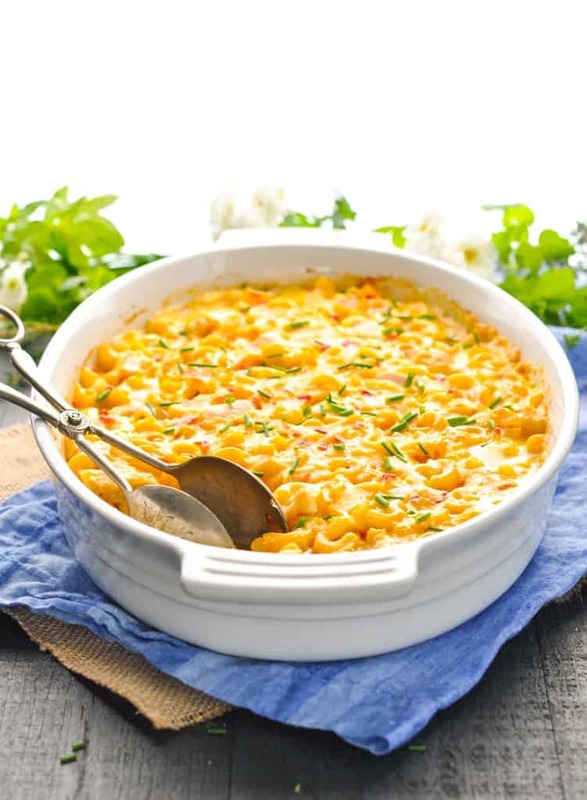 Just stir together the raw ingredients and let the oven do the rest for this creamy, easy Dump-and-Bake Chicken Mac and Cheese Casserole! It’s the best of all worlds! Chicken plus mac and cheese — together in one dish — with absolutely ZERO prep work! Just stir together the raw ingredients and let the oven do the rest. 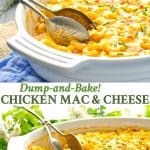 This creamy, dreamy Dump-and-Bake Chicken Mac and Cheese Casserole is a one dish meal that your family will devour! Do you ever just throw together a box of mac and cheese and call it dinner? 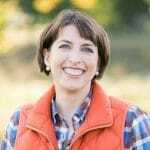 It’s a regular occurrence in our house, and I often feel like I need to add some protein and/or veggies to the plate to make it feel like a “complete” meal. So guess what? That’s exactly what I’ve done here! 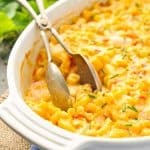 If you love a creamy, homemade baked mac and cheese, then you’re going to love how quickly this dinner comes together! 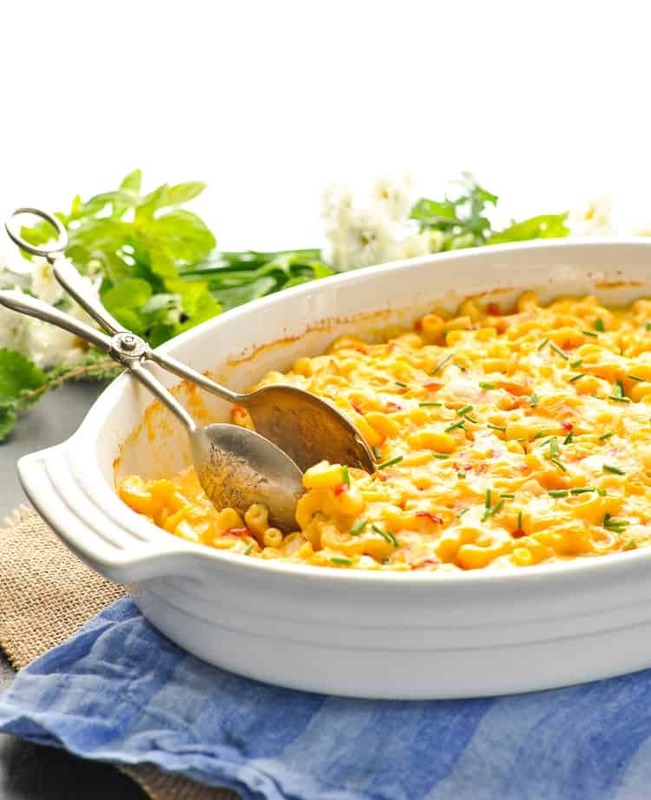 You get the rich, satisfying taste of the mac and cheese that you adore, plus the lean, filling protein from the chicken, all in the ease of a dump-and-bake casserole. You know that’s my favorite way to cook, and this just happens to be one of my new favorite dishes! I’m not exaggerating when I say “dump-and-bake,” either. You don’t even have to cook the chicken or boil the pasta before it goes in the pan. Grate your own cheddar by hand. I find that the store-bought packages of pre-shredded cheese don’t melt as smoothly as the blocks that you grate at home. If you don’t have time to refrigerate the pasta in advance, it’s ok! The casserole will still work if you bake it right away. The refrigeration time just allows the pasta to soften a bit before it goes in the oven, so you may need to bake the mac and cheese a bit longer if it hasn’t had a chance to sit first. Substitute diced ham for the chicken! If you want to use ground beef in lieu of the chicken, make sure that you cook the ground beef in a skillet before adding it to your casserole. Prep ahead! This recipe has the added benefit of being a make-ahead option. You can stir it together on Sunday evening and just bake it when you walk in the door on Monday night! Or, prepare it in the morning while your little one’s at preschool, and then pop it in the oven when the stressful 5 o’clock hour strikes. We’ve all been there, right?! 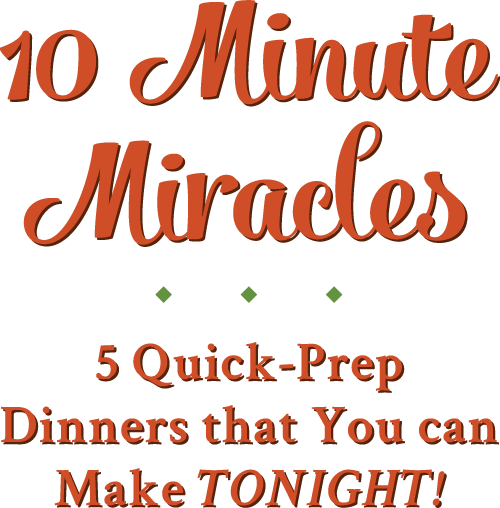 I hope that your family loves this easy one dish meal just as much as we do. It’s an easier upgrade of your toddler’s favorite comfort food! Spray a large 9 x 13-inch dish with cooking spray. In a large bowl, combine all ingredients. Transfer to prepared baking dish, cover, and refrigerate at least 6 hours (or up to 24 hours). See note below if you don't have time to refrigerate in advance! 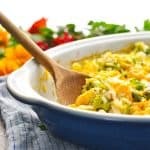 When you’re ready to bake the casserole: If you have the time, I like to pull the dish out of the refrigerator and allow it to sit on the counter and come to room temperature for about 30-60 minutes before I put it in the oven. Bake, uncovered, at 350 degrees F for 1 hour (or until pasta is tender and chicken is cooked through). Grate your own cheddar by hand. I find that the store-bought packages of pre-shredded cheese don't melt as smoothly as the blocks that you grate at home. If you don't have time to refrigerate the pasta in advance, it's ok! The casserole will still work if you bake it right away. The refrigeration time just allows the pasta to soften a bit before it goes in the oven, so you may need to bake the mac and cheese a bit longer if it hasn't had a chance to sit first. Prep ahead! This recipe has the added benefit of being a make-ahead option. You can stir it together on Sunday evening and just bake it when you walk in the door on Monday night! Or, prepare it in the morning while your little one's at preschool, and then pop it in the oven when the stressful 5 o'clock hour strikes. We've all been there, right?! Cooking Just for Two? Cut the ingredients in half and prepare a smaller casserole in an 8-inch square pan. This looks like such a warm and cozy dinner, Blair! I bet your boys love this! 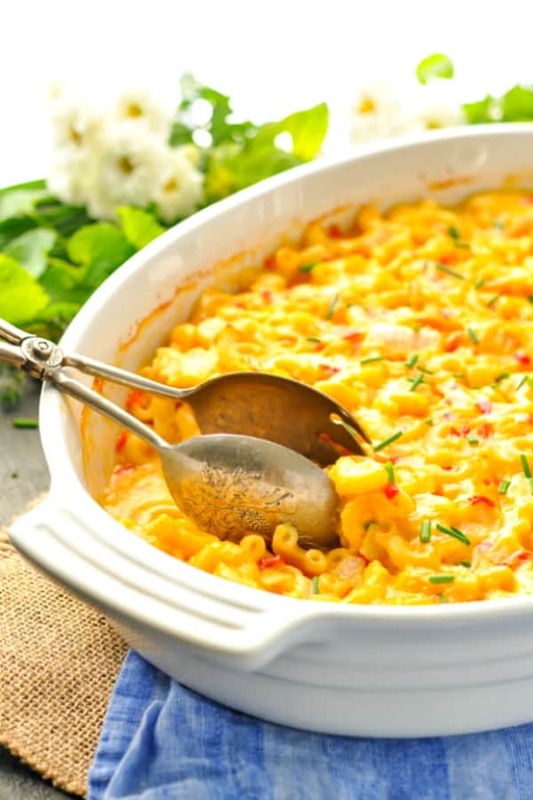 My husband would too…you can’t go wrong with mac ‘n cheese and I love the chicken in here. 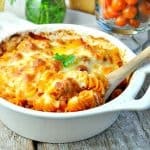 Definitely perfect comfort food, especially for the winter! It’s so darn cozy, Gayle! Thank you! I hope that you have a great weekend! Hey, Cindy! That’s great — I’m so glad that you’re going to try it! The recipe should work fine, even if you don’t refrigerate it in advance. That just gives the pasta time to absorb the liquid a bit and get more tender, but it will still be perfect without that prep time! Enjoy! can you somehow prep, freeze and then cook? Hi, Diane! Yes, I think it would be a great freezer meal! I would just assemble everything in the dish, as instructed. Cover tightly and freeze for up to 3 months. 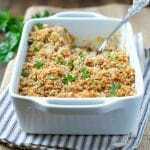 Then, when you’re ready to bake, thaw the casserole in the refrigerator overnight and proceed with the baking as instructed. Enjoy! Thanks! Wasnt sure how that would work given the pasta needs to soak a bit. I just found your site and love it. Adding so many recipes to my make-ahead meal plan days. With two working parents and two toddlers, we need this kind of food! 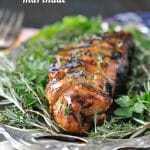 Could you make this in the crockpot or casserole crockpot? Hi, Jamie! Yes, I *think* that it would work well in the slow cooker or casserole crockpot; however, I have not actually tested it myself. As a result, I can’t tell you exactly how long you would need to cook the dish if you go with that method. You’d just have to keep an eye on it or estimate the first time around. 🙂 Let me know if you give it a try! I have a question. I’m planning to make the smaller serving size. Do I need to adjust any times? Also, could you use Campbell’s Cheddar Cheese soup instead of Cream of Chicken Soup? I’m new hear but really enjoying everything I’ve seen thus far..
Hi, Joan! You shouldn’t need to adjust the cooking time too much, but with the smaller dish you might check it about 5 minutes before the timer goes off since it may be done a tiny bit quicker. There shouldn’t be a drastic difference, though. As far as the soup goes, YES — the condensed cheddar soup should be fine (or any other “cream of…” flavor as well). Enjoy! Is this good with potato chips on top, kind of like a hot chicken salad recipe? Do you need to add salt and pepper?